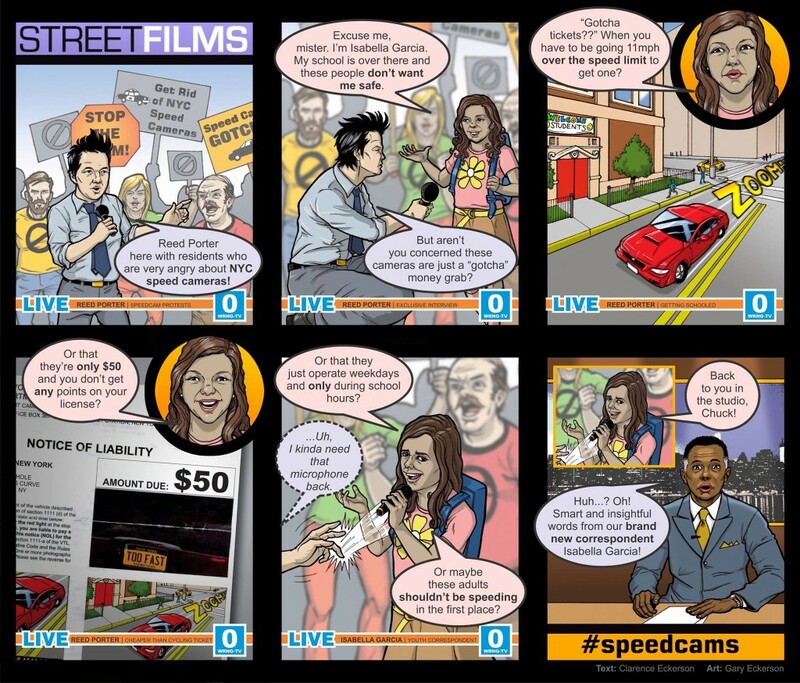 Streetfilms | Speed Camera Myths: The Streetfilms Comic Strip! 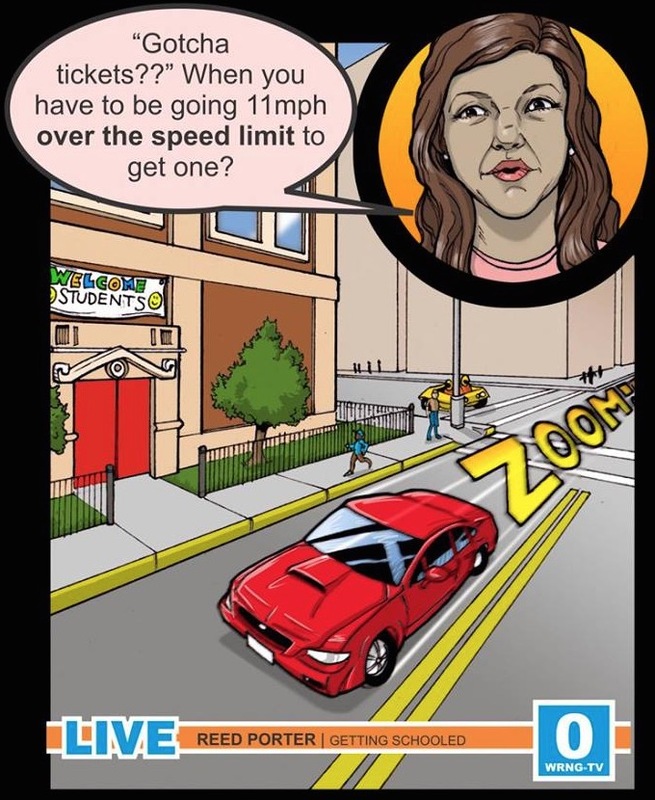 Speed Camera Myths: The Streetfilms Comic Strip! If you're like us, you're probably sick of the standard mainstream news media treatment of safety measures for pedestrians, bicyclists and - yes - drivers. Most times the coverage is sensational, often featuring a small group of really loud voices or annoying protesters claiming street safety measures are unnecessary, because, well because. One topic nationwide that always generates that usual friction is speed cameras. Often going by the same playbook wherever you live, you'll hear common refrains that the tickets are a "cash grab" to "hardworking taxpayers" that are "unfair speed traps" which "infringe on our personal liberties" and "don't save lives." Some of these groups are even referred to as heroes and even destroy (yes, destroy!) hardware meant to keep people safe. You'll rarely find any of these stories take time to interview pro-camera community leaders or talk with someone who lost a loved one to speeding. So we thought it'd be good to draw up a comic that makes it takes on the myth perpetuated that the poor, poor driver is so unfairly treated. Though our story takes place in New York City, many cities nationwide have some or all of the same limitations placed on their use. Thus presenting our second Streetfilms Comic (although Treehugger has taken to calling them Street Comics) on Speed Camera Myths. And don't miss our first here on the #sneckdown phenomenon. Click the image below to see it in all it's larger glory. Posted in Streetfilms News. Tagged as Children, New York, red light cameras, safety, Schools, speed cameras, speeding, StreetComics, Streetfilms Comics.